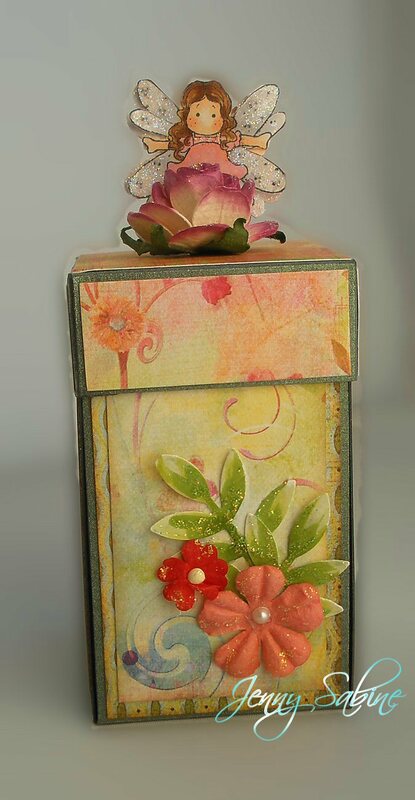 today's project is not a card but a mini exploding box using one of the mini Tilda's from the Fairytale selection of Magnolia stamps. I have used a Spring/Easter theme and have added a little surprise inside the box. The box measures 7.5cm high and 4cm wide when closed. Anything bigger would have made mini Tilda looked swamped. The creme egg is a mini size and to keep it in place I have made it look as though it's in a nest. I have stamped the mini Tilda 6 times and coloured her with Copics. The wings are glittered. The butterflies are from a Martha Stewart punch. All have been attached with thin strips of acetate so that they move in the wind. The flowers are a mixture of Prima and something else, the leaves are a Martha Stewart punch coloured with Copics. 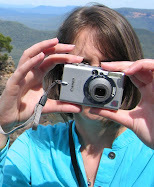 Enjoy the weekend and thanks for taking the time to stop by blog. What a wonderful box with all the beautiful mini Tilda's fluttering about! With a candy surprise besides!!! 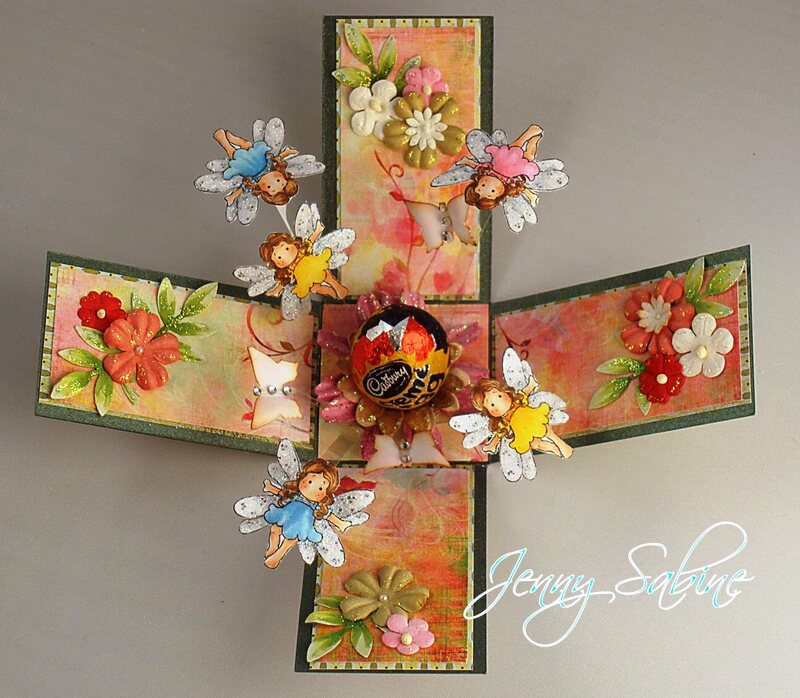 Terrific job Jenny, it is adorable!!! Glad you could join the Extravaganze at Magnolia-licious Highlites! Beautiful,love the mini tilda's.great work.